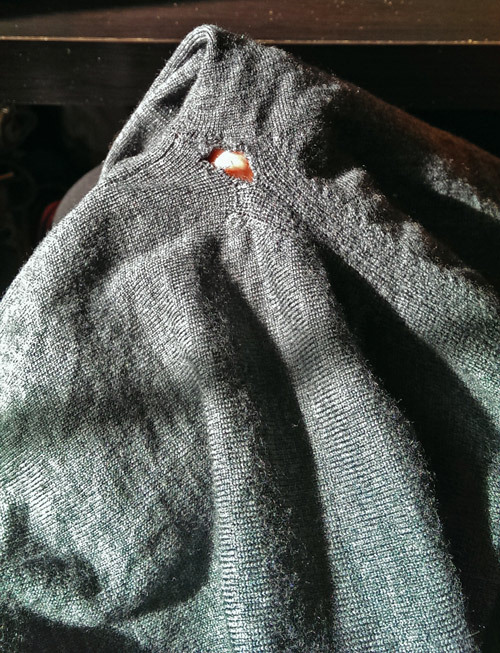 Do you have a sweater with holes at the stress points, or moth holes? 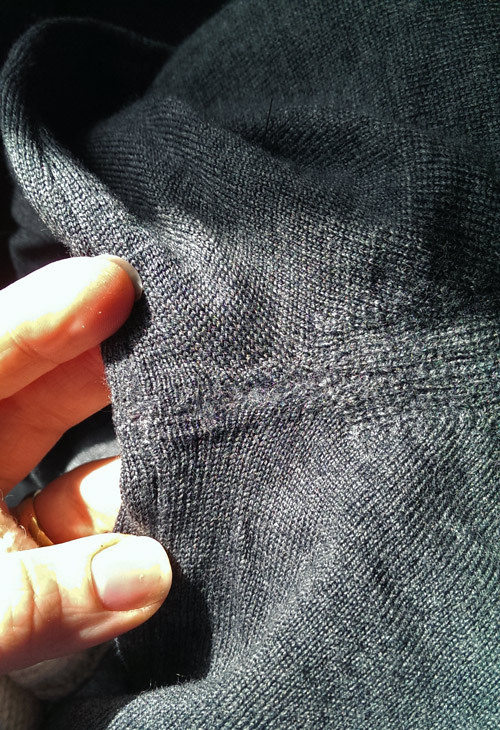 If you have a hole that is not on a seam (unlike this project), first, get it cleaned! If there is even a slight chance that it could be a moth hole, catch it before they claim other things in your closet. Clean anything you find with holes immediately, and inspect items hanging near the problem garment as well as other items in the same closet. The not-so-friendly buggers tend to like garments with a little dirt and body oil to nibble on, so let’s not make it easier on them. In addition, I cannot risk bringing a garment with moths into my studio so head to your local dry-cleaner. 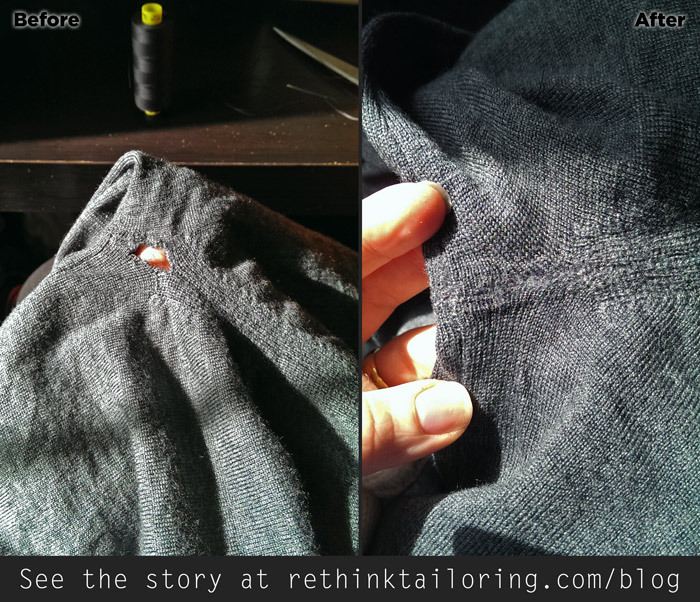 After the item has been cleaned (unless it was just a weak spot in a seam), email me at kristen@rethinktailoring.com with a picture of the damage (coin for reference is helpful) and I will do my best to determine if reweaving or creative repair is possible.